Book time at the beach in this 5 bedroom 3 bath traditional knotty-pine cottage. 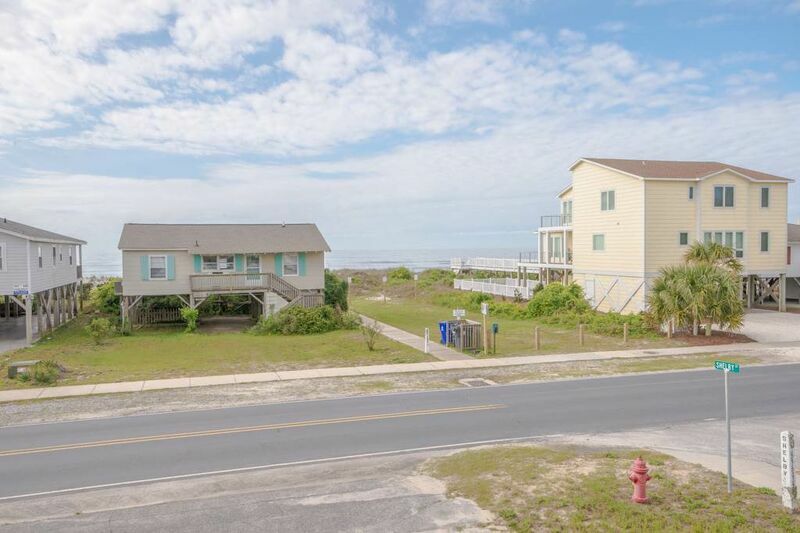 You have easy beach access directly across the street, and can enjoy ocean views and breezes from the large front porch. This charmer has all the conveniences you expect: WiFi, charcoal grill, flat screen TV, washer-dryer and a fully equipped kitchen. The cottage can accommodate up to 14 with two queen-bedded rooms, two bedrooms with two double beds, and one double in the fifth bedroom. The living room and all the bedrooms have ceiling fans. The family dog is welcome too: limit of two dogs with a non-refundable pet fee. No smoking!